How Long Does it Take For Solar Panels to Pay Off? This tricky question of how long it takes for solar panels to pay off has kept homeowners up at night ever since solar panels met roofs. We’ve garnered information from across the internet, and compressed it into a bite-sized formula. Here’s the bad news. The years to payback isn’t fixed. The answer depends on many factors. The daily hours of sunshine available, electricity cost, tax credits, the price of solar panels, your system’s efficiency, and the percentage of electricity you want to offset with your solar installation. Now throw in You Know Who in the Oval Office, rising energy costs and plummeting solar panel costs – these are a few of the more prominent factors. But here’s the good news. We can easily calculate years to payback ourselves. Don’t panic. Look at this snuggly formula, then the helpful examples below. Provided you’ve not already bought your panels, all you need to do is two simple calculations: Investment Cost, and Annual Savings. Allow us to explain how to do that. Take your solar system size in kW, and multiply it by the price per kW for solar panels. Then, subtract any tax incentives to get your Investment Cost. Don’t know the system size you want? I know, this is a long formula, so take a look at our example here. Your daily energy use is bang-on average at 30kWh. You want to cover 80% of your electricity bill with solar. In America, sunlight hours range from 4-6, so we’ll call it 5. System efficiency accounts for imperfect panels, shading and soiling, and energy loss when converting the direct current (DC) produced by the panels into more useful alternating current (AC). While efficiency changes from installation to installation depending on the equipment and local weather, the National Renewable Energy Lab (NREL) uses an average of 77% efficiency for their research and solar calculators, so that’s what we’ll use as well. Take this number, and apply it to the Investment Cost formula. According to a 2016 solar installation cost benchmark from NREL, the average price of solar panels is around $2.93/W (equal to $2930/kW, as 1000 watt equals 1 kilowatt). 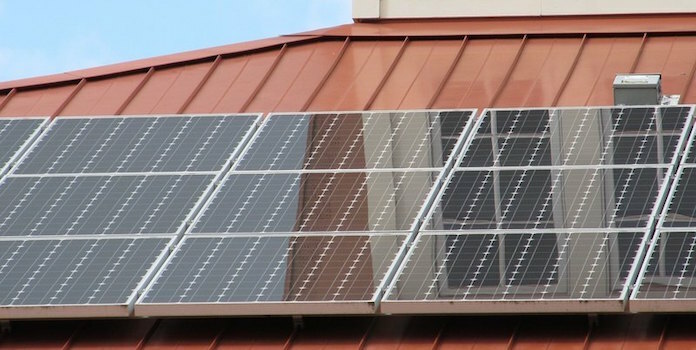 Subtract the federal tax credit which saves you 30% of the solar system price. Thus, Investment Cost = (6.2kW x $2930/kW ) – 30%. N.B This did not include any state incentives, which would lower your investment cost. Cost of Electricity = $0.13/kWh, Daily Electricity Use = 30kWh, Percentage of Electricity Covered by Solar = 80%. He lives in California and basks in 7 hours of daily sunshine. He wants to meet 100% of his energy costs with solar panels. In addition to the federal tax credit of 30%, his utility offers an incentive of $0.3/W for solar projects. SoCal Bob has a daily energy use of 30kWh. The price of electricity is $0.13/kWh. In this example, let’s say the price for solar panels is higher in his area – $4/W (or $4000/kW)! Let’s also pretend his solar installation – at only 70% efficient – is less efficient than it could be. What would be the years to pay back? And now annual savings. Remember how? So, completely different scenario, completely different payback time. Calculate yourself, and talk with your solar company to get the most accurate prediction. State/employer incentives will also reduce years to payback. If you live in a sunnier state with great weather, you’ll have more hours of sun, therefore fewer years to payback. As electricity costs increase (roughly 2-3%/year), your savings will increase, thus fewer years to payback. This formula doesn’t account for this. Also, panel performance decreases over time by roughly 0.7%, causing the opposite effect. Consider those sleepless nights banished!